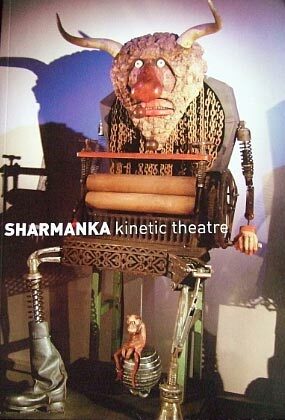 Sharmanka Kinetic Theatre have republished their catalogue. There are 64 pages, with colour photographs throughout of the fantastic work of Eduard Berdsudsky. It includes an introduction by actor, Simon Callow, and text on The Art of Eduard Berdsudsky by Julian Spalding. The latest exhibition ‘Gothic Kinetic’ is also featured, as well as history on Sharmanka’s move from Russia to Scotland, and behind the scenes details from director Tatyana Jakovskaya.